Punch Hero is a fighting game released by Gamevil, free for Android and iOS. 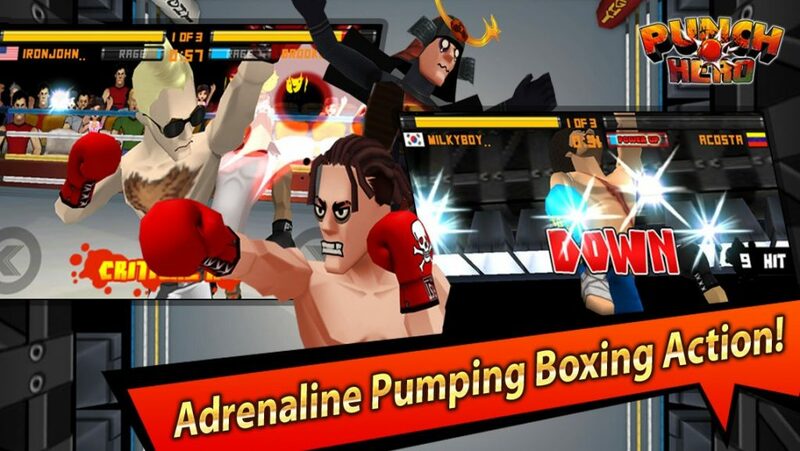 It can be said that this is one of the most fun and addictive boxing games I’ve ever played. The game was inspired by Punch-Out!!! – the classic boxing game series and the last arcade game series which Nintendo ever developed around the 80s. Powerful punches, boxers’ screams, the heat of thousands of spectators, bones broken, … are things you can find out in this game. That right. At first glance, I think Punch Hero‘s graphics are not too impressive. Despite 3D graphics, it looks old and not as sharp as current games. But the game is really fun and addictive. The style of the boxers varied and made me feel funny. Many unique effects signify pain when you attack or knock out opponents, such as a face that bleeds or bruises. The sound of the game is also quite simple with the sound of punches, audience screams and some music at the end of the match. After entering the game and naming, you can create a character and choose any style you want. A great boxer with Santa Claus’s beard? A handsome guy with nice hair? Or even, you can create special characters like pirate, robot, superhero, … Gold is the main currency in Punch Hero. They help you buy items in the store or upgrade your stats. Gold can be obtained by competing or buying gold packages with real money. If you are a shopping lover but don’t have much gold, Punch Hero MOD can help you. The mod version allows you to shop for anything you want with unlimited money the game provided for you. Note that you need to reach the required level to buy in-game items. 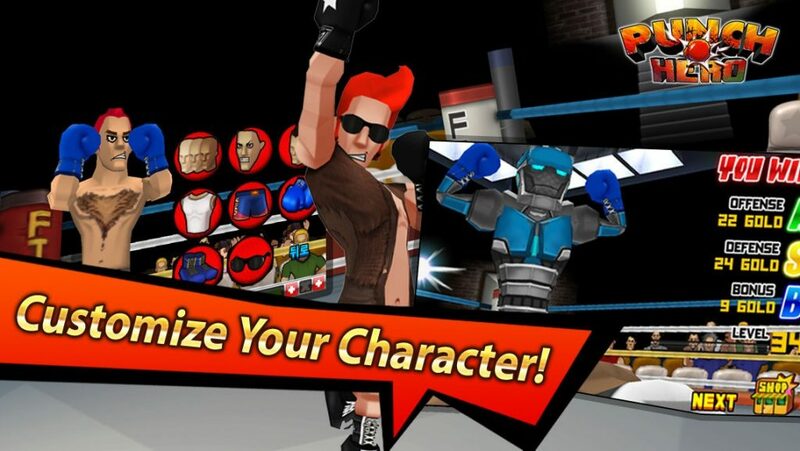 Your mission in Arcade mode is to control your character to defeat 18 other boxers. After defeating a guy, you can move on to the next challenge. Your opponent is very interesting, they can be a boxer, a pirate, a robot or even a soul. No matter who your opponent is, he has weaknesses. You need to find each opponent’s strengths and weaknesses and knock out him. I feel satisfied with control of Punch Hero. Easy to play but hard to win, that’s what I can say about this game. Swipe left to make a hook punch, swipe up to undercut, tabs if you want to punch your opponent in the face. In the defensive state, you can hold two fingers on the screen to shield the opponent’s attacks. When you are defeated and the referee is counting down, touch the screen repeatedly to return. Over 10 seconds, you lose. When playing this game, you might think that this is a game that highlights the player’s skill, dexterity, and reflexes. Hmm, not really. After some level, I met some boxers with a lot of strength and large HP. At that time, the difference in strength was clearly shown. Even if you are a skilled player, your odds of winning are very low. This is the time I think upgrading your stats is the best way. Some stats you can enhance for boxers include Attack, Defense, Speed, Skill, HP, Mana, … You can do it in Training gym room. Besides the 18 strongest boxers, Punch Hero also brings hundreds of zombies to challenge your bravery. This is the mode where you can relax with unlimited attacks. How long can you survive in zombie mode? Why do I love Punch Hero? 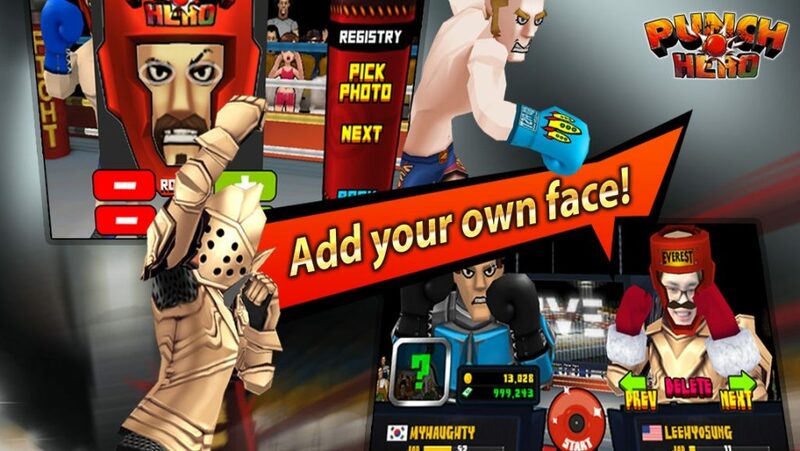 Overall, Punch Hero MOD APK is a fun and addictive fighting game with many challenges. The game has a lot of interesting things that you can explore. However, playing against AI sometimes causes players to feel bored. We hope that the publisher Gamevil will update the online mode soon. 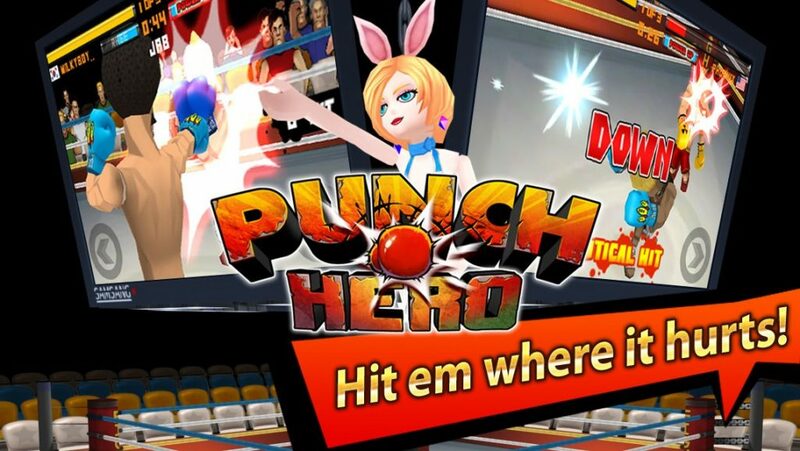 Punch Hero MOD APK is ready to download! 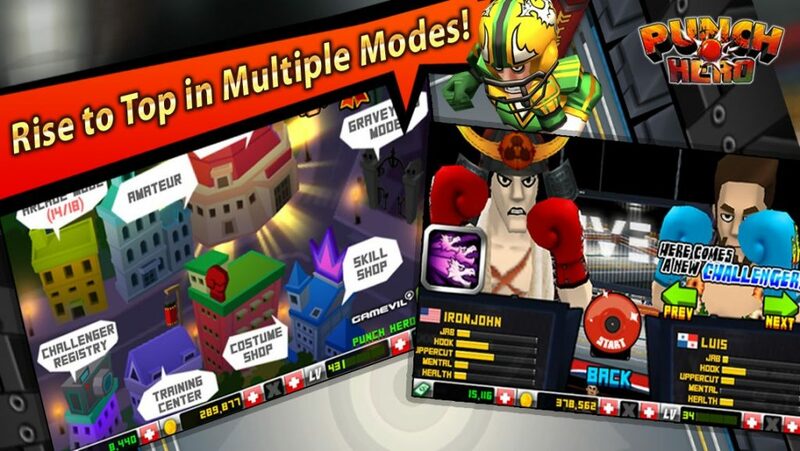 Depending on your needs, you can download Punch Hero MOD APK or Punch Hero Original APK. Or install from Google Play / App Store if you want.